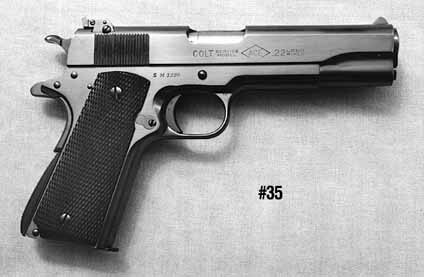 The Colt Ace was a 1911 pistol developed as a .22 LR copy of the handgun for inexpensive practice for military troops. The Colt Ace is a relatively rare pistol to find in modern times. Examples of the Colt Ace are located in the Springfield Armory National Historic Site in Springfield, MA.